I was invited for a review of the Seafood Festival which was being hosted at Nook, one of the restaurants in the hotel. The festival attempts to bring the best from around the world with Chef Sandeep Kumar using his vast experience to create some delectable dishes. The festival brings in a school of fishes up for eating, ranging from the easily available basa fish to favourites such as sardines, calamari and crabs. The menu changes every day to cover different fish varieties throughout the span of the festival. 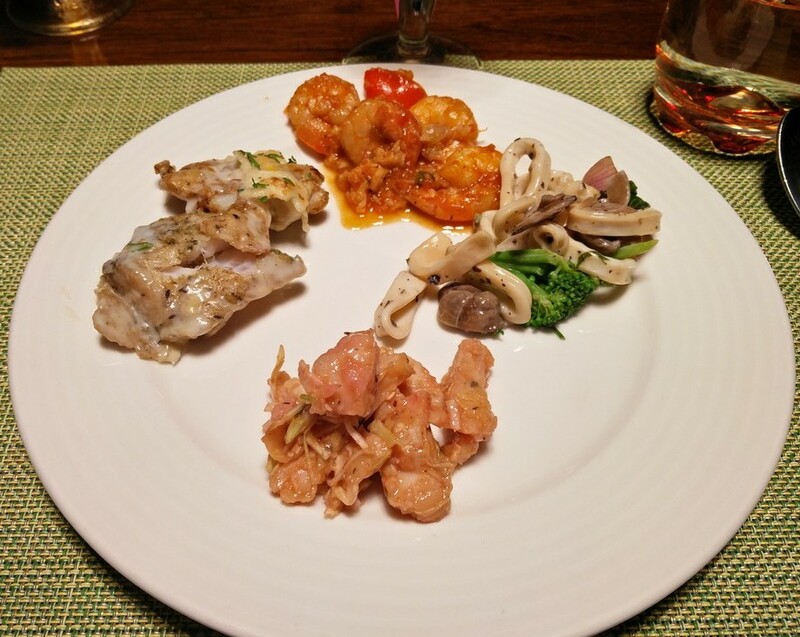 We started off at the salad section, where prawns, sliced basa fish fillets and squid rings were laid out. 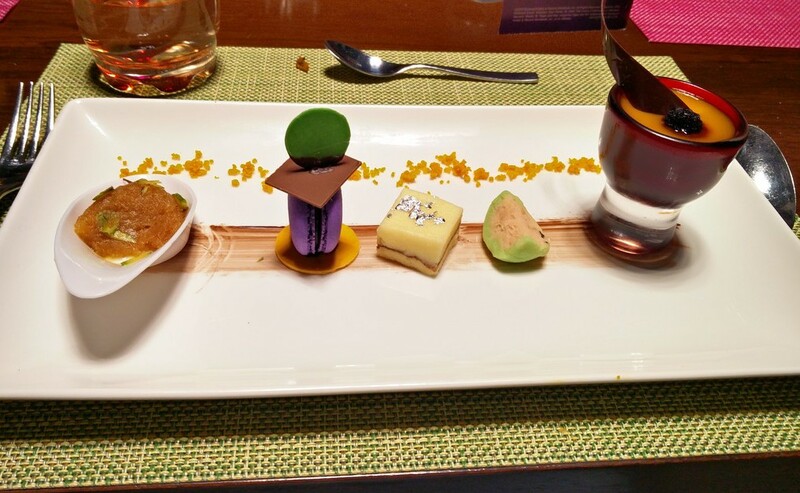 The Chef pointed out that these are well paired with the sauces that were on display, each with a unique taste of its own. Prawns with the wasabi mayo seemed to be the biggest hit out of the lot, with the wasabi giving the perfect kick to the cold prawn pieces. As we moved about in the buffet section, choosing starters, Chef laid out the Watermelon and Prawn Parfait on our table. 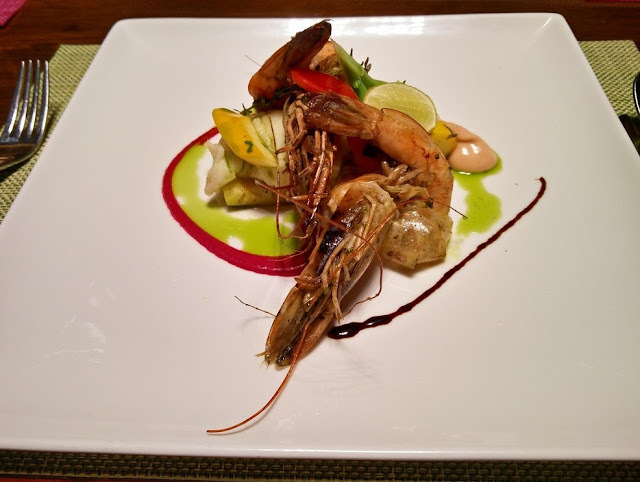 Not a part of the general buffet menu, the dish was the result of Chef's evening bout of experimentation. 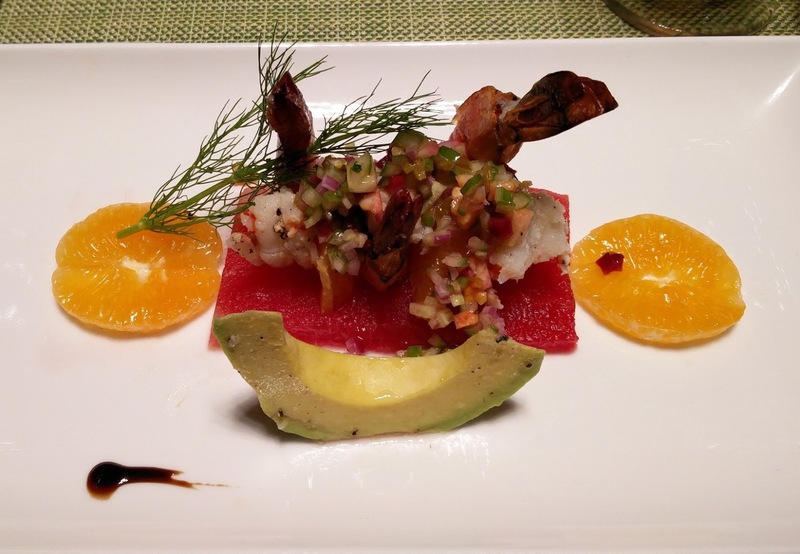 One of the most refreshing dishes I have ever tasted, the Parfait was delightfully decorated with large prawns on watermelon slices, orange and avocado. The starters in the buffet too had quite a few options which included chicken and beef in addition to the seafood ones. The baked fish was very juicy, crisp and creamy on the outside and soft inside. It is best eaten hot and loses its sheen when cold. The squid and mushroom salad was light and buttery, with the squid being the right amount of chewy. We were also served Pomfret and Prawns straight from the Tandoor. 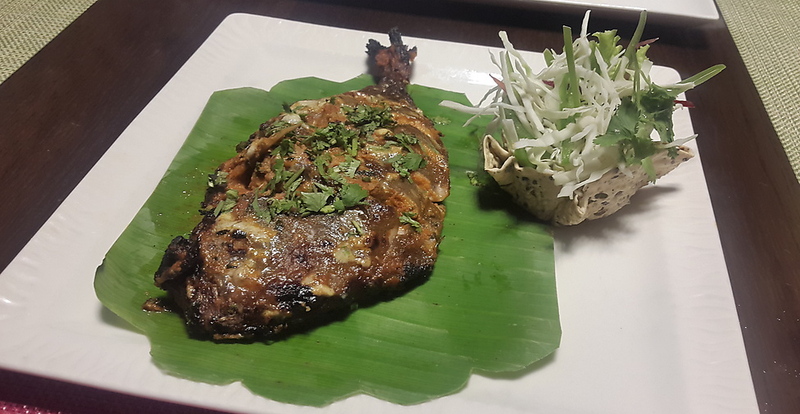 The quality of the Pomfret was evident from the freshness in the fish. The marination had penetrated quite well into the fish making it one of my favourite picks from the festival. The highlight of the spread was the Seafood Biryani, a fusion of the Awadhi biryani and the Nizami Hyderabadi Biryani. The biryani was cooked in the Lucknowi Nawabi style with rich spices imparting flavour to it. The flavour of ghee which is generally a typical of Awadhi biryani was missing and Chef Sandeep explained that this is so that the spiciness of the salan wouldn't interfere with the partial sweetness from ghee. I was quite ecstatic to see the Prawns Salan and a non-vegetarian lover couldn't wish for a better spread at a buffet. The Chepala Pulusu, the other dish in main course was a bit too thick and spicy and did not fascinate me particularly. 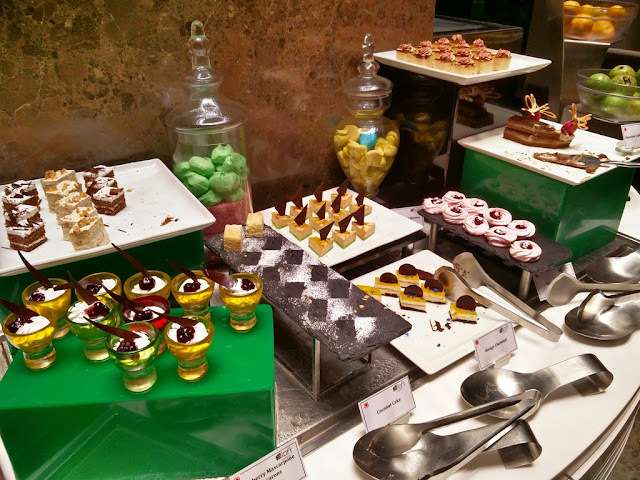 There was an array of delectable desserts in the dessert counter. Under the aegis of an old and seasoned halwai, their kitchen whipped up some neat Indian sweetmeats. The moong dal halwa and the kalakand were enjoyable but were sinful pleasures. 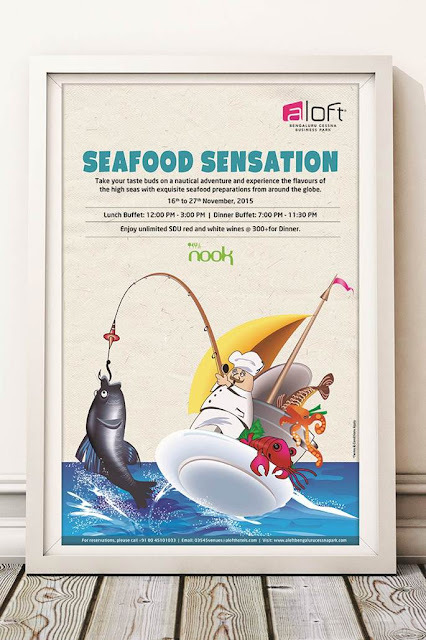 An excellent place to chill and unwind, Nook often plays host to a number of food festivals and this was no different. The buffet is priced at Rs 1125/- and is a real steal for the cost. A must try for all seafood lovers.